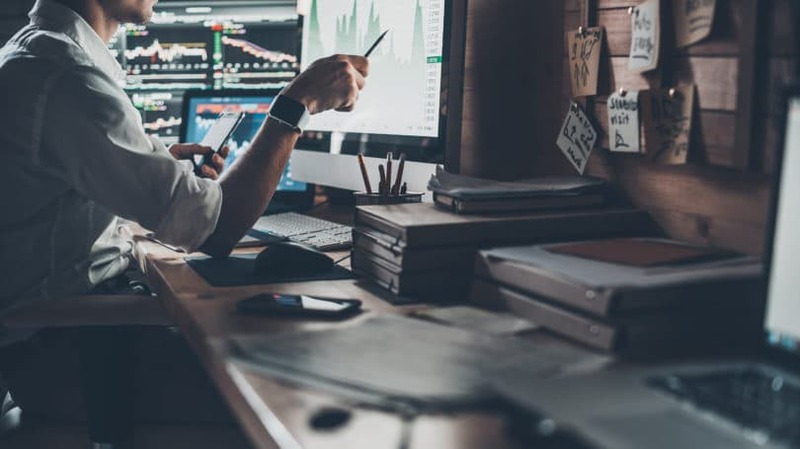 While it may be tempting to throw yourself into the dramatic highs and lows of investing in the stock market in search of instant gratification, it’s not necessarily the most profitable choice. Warren Buffet has spent his career watching investors pounce on “hot” companies, only to flounder when the market takes a plunge. All the while, he’s been steadily accumulating wealth by taking an entirely different approach. You may be thinking, “OK, the guy’s successful, why should I care?” Well, in 2008, Warren Buffett was the richest man in the world with an estimated worth of over 62 billion dollars. This kind of wealth is not a result of sheer luck. He’s gained his enormous fortune using a very specific investment strategy, developed on a basis of long term investing. The great news is that, by learning a little about the way Warren Buffett thinks, you too can enjoy greater success in the stock market. 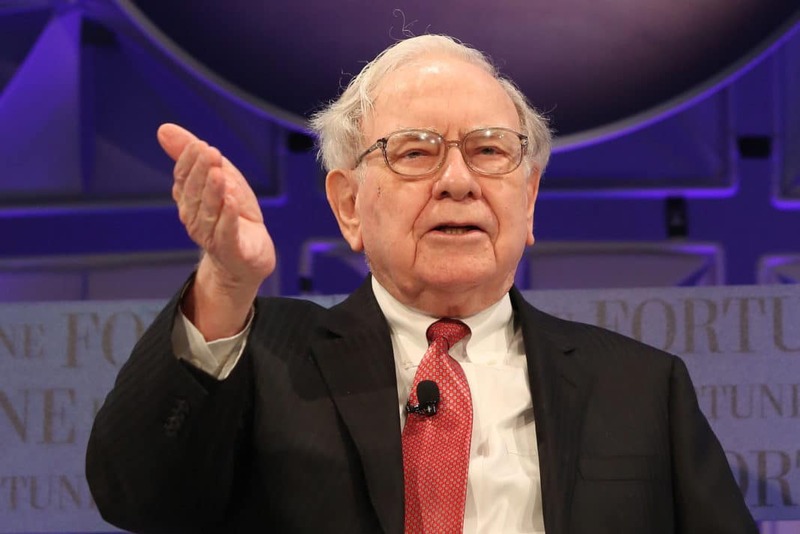 So what exactly is Warren Buffett’s investment strategy and how can you emulate him? Read on and find out. Since Warren Buffett has never personally penned an investment book for the masses, how does one go about learning his secrets? Luckily, many of his letters to shareholders, books that compile such letters, and insights from those close to him are readily available to the public. There’s a lot to be gained from his quotes alone. Here are a few sayings that have been attributed to him. Clearly, Warren Buffet is a value investor. He looks for great companies, or “wonderful” ones as he puts it. He is not looking at hot sectors or stocks that may shoot up now, only to cool and fall later. He wants an efficient running business that has favorable long-term prospects. Additionally, although he wants great stocks, he does not want to pay a premium price. Warren uses a specific calculation to arrive at a fair valuation, then waits until a market correction or crash puts those prices on his doorstep. Now that you know a little about his basic investing philosophy, let’s take a more in-depth look at how he makes investment choices. Why? Because higher product turnover implies more revenue for the company. If you can also find a leading name brand that people gravitate towards, you have a good starting point. Another major category of companies that Warren likes is communications. Advertising agencies are a major part of this group as they expand into new platforms like cell phones and tablet computers, in addition to the old standbys of TV, radio, and newspapers. This is an area where you will need to be careful because what is new today can be discarded as waste tomorrow. Be aware that advertising may go down with the economy as businesses prune costs during tough times. Also, as people turn from print to web, some forms of advertising will increase at the expense of others. “Boring” itself is not enough to warrant an investment. However, if something is both boring and essential, there’s a good chance it’s a stable, efficient, easy-to-operate business that will have a long-lasting life. Once you know where to look, it’s important to know who you should turn your attention to. The book cites the following factors for determining which companies to watch closely. Warren Buffett analyzes considerable historical financial data on a stock. In general, this would exclude new companies where only a few years of financial data exist. He picks stocks based on their intrinsic value and the ability of the company to continually increase that value, often wanting a minimum of 15% annually over many years. This kind of regular increase can be considered a High Annual Rate of Return. This includes companies that have a monopoly, where no other alternative exists. Think of a toll-bridge as one example. Other market edges could include companies that sell a unique product. Buffett is not as keen on commodity-based companies where the price is set by the market, competition is stiff, and the company has no ability to freely adjust for inflation. Increasing Earnings. It is especially important that a large amount of this money is being retained and used for further growth. Sitting on a big pile of cash, or giving earnings back as dividends, is not viewed as desirable since extra tax may need to be paid on dividends, and the burden of re-investing is placed on the shareholder. Reasonable Financing. The financing for the company should be reasonable, without a high debt-load. Simple Business Model. The company model should be simple with few moving parts, and not a lot of money needed to maintain the business model. It should be a lean, mean, and profitable operation. But when you find such a wonderful company, how will you know if it is a good buy? For that we need to learn how to value a stock the Buffett way. Aeropostale Inc. (NYSE: ARO) has a share price of around $25 and an annual earnings of $2.59. If you divide $2.59 by $25 you get the earnings yield of 10.36%. Hansen Natural Corporation (NASDAQ:HANS) has a share price of $56 and an annual earnings per share of $2.39 and only 4.2% of the share price is annual earnings. McDonald’s is trading at a $75 with annual earnings of $4.62 per share, which gives us an earnings yield 6.2%. Warren would use this formula to compare similar stocks with steady earnings to see which would provide a higher earnings yield based on share price. Based on these examples, Aeropostale has the most attractive earnings yield. Keep in mind, this is only to be used as a very quick and crude method of comparing similar stocks, or to compare yields to bond rates. As you will see in the next two valuation methods, the earnings yield is far from accurate in giving us a long-term growth rate. For this, Buffett would analyze the long-term growth trend to determine how it might perform over the next 10 years. Depending on the company and the industry, it may make sense to use any of a variety of metrics, including both the PE ratio and the Enterprise Value/Revenue multiple. Let’s use the PE ratio to illustrate how this strategy works. To guess what growth might be like over the next 10 years, you first need to determine what the average earnings growth rate has been on the stock over the past 5 to 10 years. Now you have an estimated total earnings per share by the end of year 10. Today, the EPS is $4.62 and in a decade that should appreciate to $23.37. Now, you must determine what this means for the share price. To do this, you simply look to a long-term average of P/E, or the price-to-earnings ratio. The 5 year P/E average in this example is 17.7. Multiply this by the future expected earnings rate of $23.37, and you get an estimated price of $413.65. If the price right now is $75, what is the rate of return over the next 10 years? For those of you who find all of this a little overwhelming, that doesn’t mean that Buffett-style investing isn’t for you. There is a simpler option. Class A Shares with a current sticker price of $127,630 each. Class B Shares which currently sell for $85.04 each. As you can probably tell from the price discrepancy, it takes 1,500 Class B shares to have equivalent ownership of one Class A share. They are similar except that Class A shares have proportionally more voting rights per dollar of worth. How have the shares of Berkshire Hathaway performed over the past 46 years? The cumulative gain is 490,409% which works out to an average of 20.2% per year. This is an average annual 10.8% excess of the market as tracked by the S&P 500 index (including dividends). If in 1965, you invested a whopping $1,900 with Warren Buffett, this would be worth $9,545,300 by the end of 2010. With those numbers, you may be wondering why anyone would choose to attempt Warren’s strategy on their own. 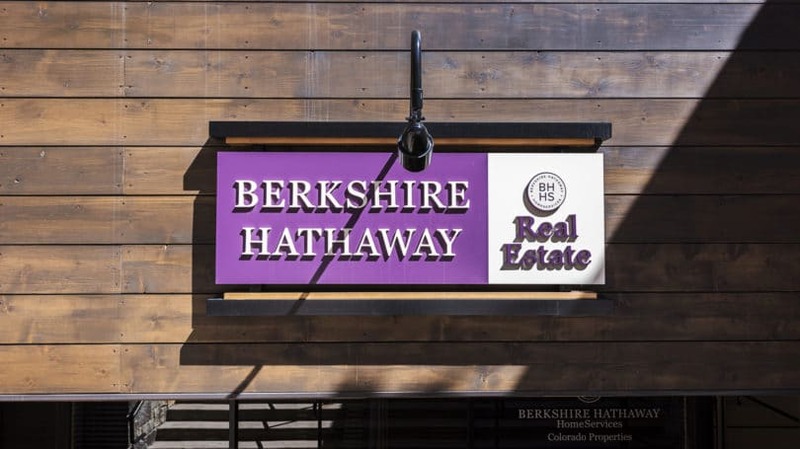 Unfortunately, this kind of incredible growth is becoming harder for Berkshire Hathaway to attain. When a company has hundreds of billions of dollars in revenue, achieving significant growth is far more difficult. Buying up smaller companies did not impact Warren Buffett’s Berkshire’s financials as much as when his company was smaller. He has become an elephant stomping around the market in search of increasingly elusive good buys. The simplest way to invest Warren Buffet style is to buy shares of Berkshire Hathaway and forget about them for the next 10 or 20 years. But, as his company has reached astronomical heights, this strategy has become less and less valuable. Thus, many people who love the “Warren Buffett investing style” choose to invest on their own. If you are excited by due diligence, scanning thousands of stocks for that highly profitable (and oftentimes mundane) business, forecasting company earnings, and monitoring the company’s progress, then the “Warren Buffett investment method” may be a perfect fit for you. Remember, perhaps above all else, to have guts of steel when the market drops so that you can buy undervalued and profitable stocks. What are your thoughts on Warren Buffett and his investing style? Do you try to replicate his strategies and success? Share your experiences in the comments below.